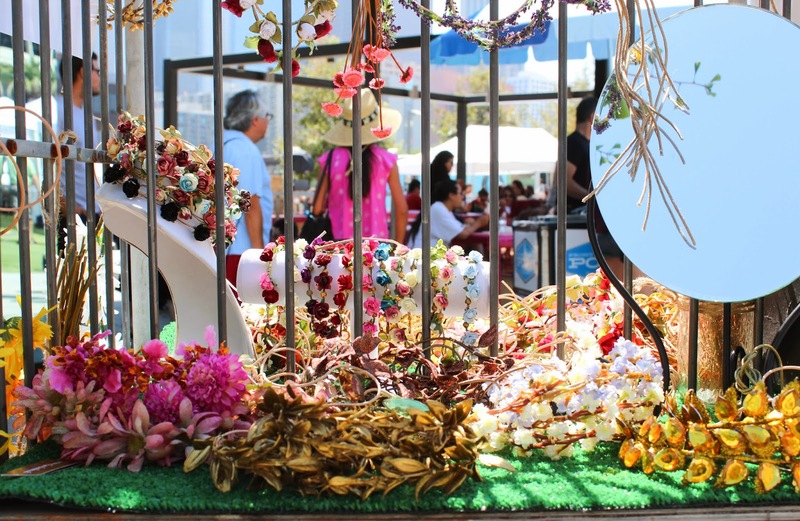 Two weekends ago, the Summer Renegade Craft Festival made it's way to Los Angeles. This year it was held at Grand Park in DTLA. It was a great location except for the weather. It was probably one of the hottest days we had in LA, regardless of the weather, I am so glad I was able to stop by. It is always inspiring to be surrounded by so many up and coming artists, makers, and designers. 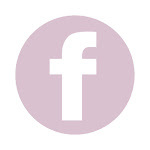 Here is a round up of some of my favorite companies and links to their sites. I absolutely loved the Close To The Cosmos booth (photo above). They make the most beautiful dreamcatchers I've ever seen. Check out their website here. 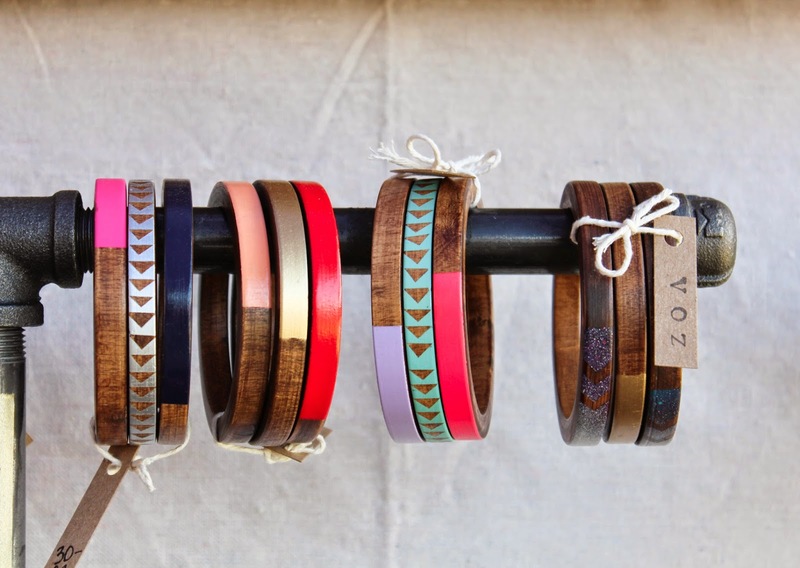 Can't go wrong with colorful wooden bangles from Voz Collective. This company is owned by two lovely sisters Lauren and Jackie. I admire their simple approach to design and color. 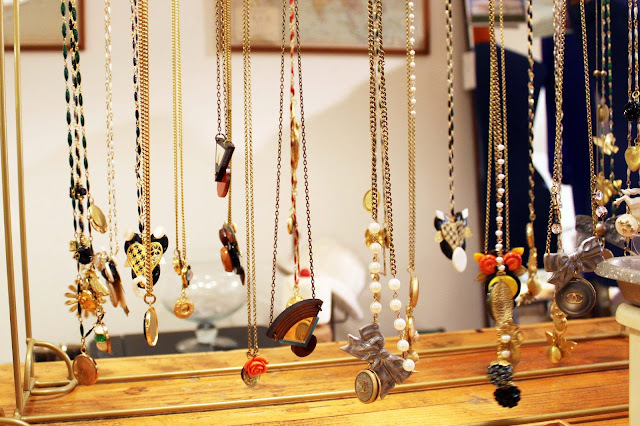 Their accessories are very well executed and they are the type that you can wear all year long. Make sure to check out their Etsy shop, their bangles make a great gifts. For the inner flower child in you. Gardenhead hand makes these whimsical head bands with synthetic flowers. So perfect for this weather, or if you are a Los Angeles native you can wear these all year long. They are light and stylish. My favorite one was the Arizona style. 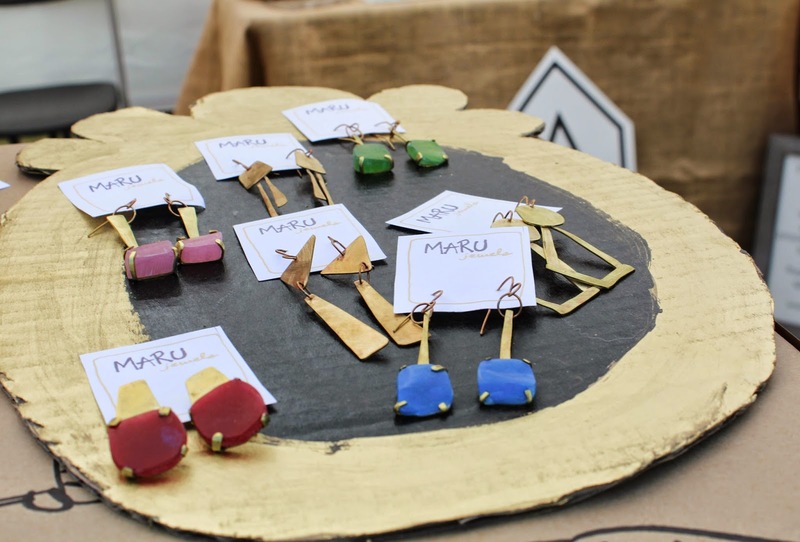 Another great jewelry line was Maru. Colorful stones bonded or wrapped with brass and gold metal. Her collection is very abstract and yet elegant, like something you could buy at a museum. 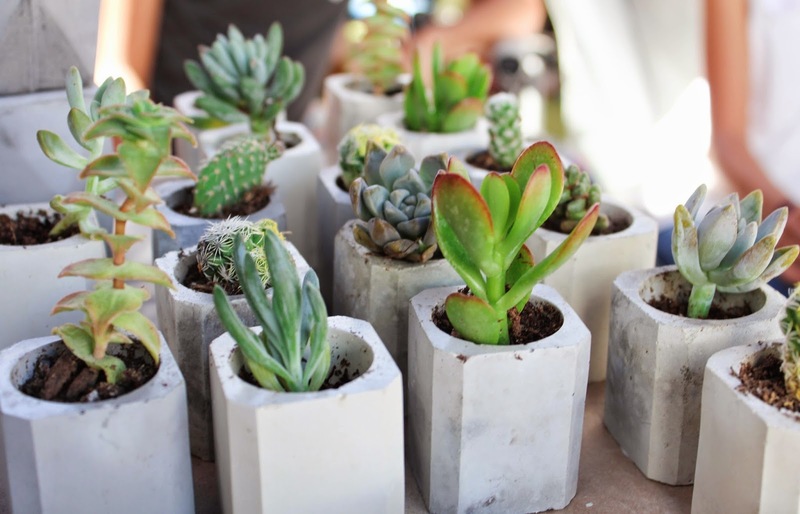 I fell in love with these planters from Concrete Geometric. They were stylish, simple and small. I really like having succulents around at home because they bring life to any corner of the house and they are easy to take care of. 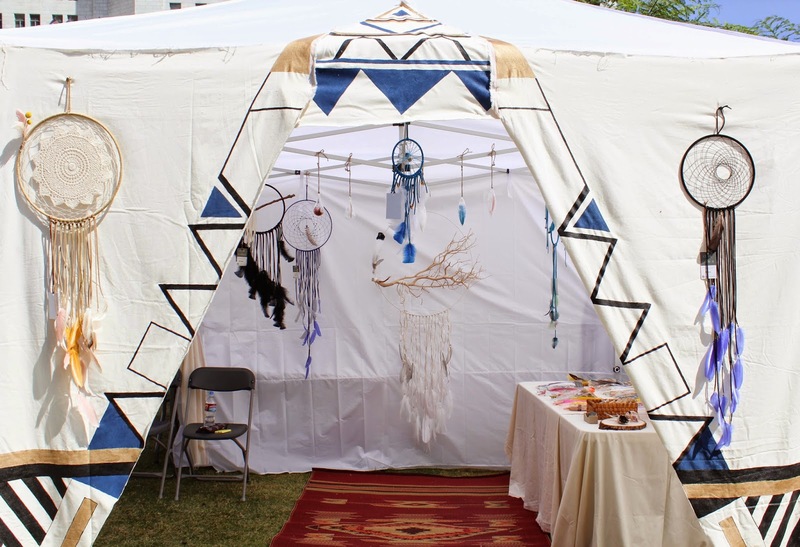 Here is a full list of all of the vendors who participated. 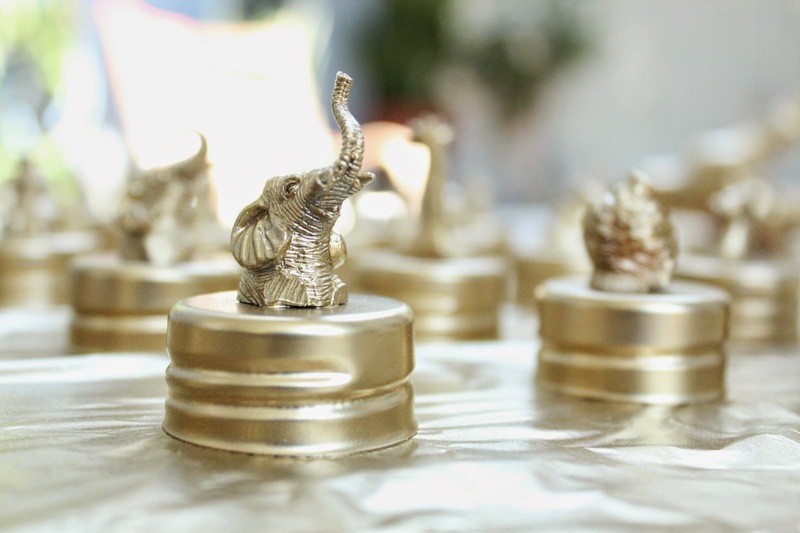 For our baby shower last month, I was stuck on the idea of gold circus animal favors. I looked every where in stores and online, but couldn't find anything that I really liked, so i decided to make my own. Step 1: My first task was to buy novelty animal toys. Much to my surprise, I couldn't find them locally. I checked toy and party stores, but found nothing. I ended up buying them from this online store. I got a great deal and they shipped my order right away. I was thrilled! Step 2: Separate your animals and only pick the circus related ones. 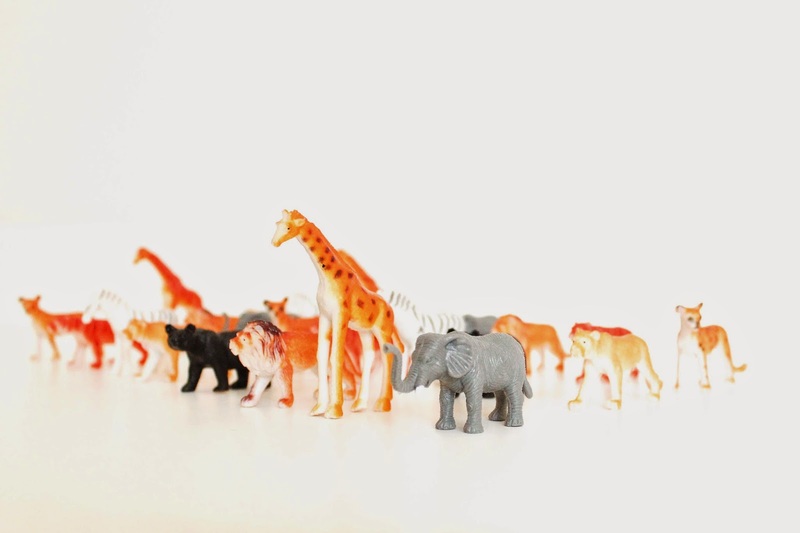 The package came with many assorted animals that were not circus related. 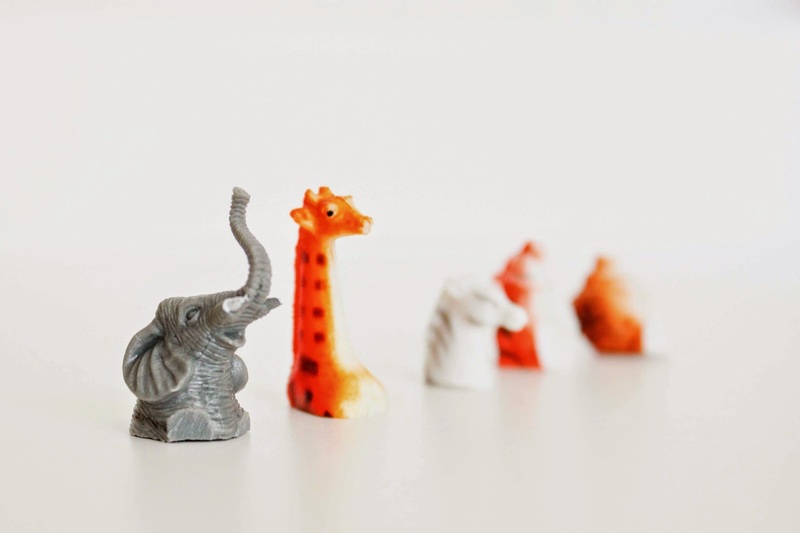 I used the elephants, giraffes, zebras, tigers, lions and hippos. Step 3: Use a saw or sharp knife to cut all the legs off. Cut the figure like the photo above or you can use the whole thing, depending on the size of your cap. 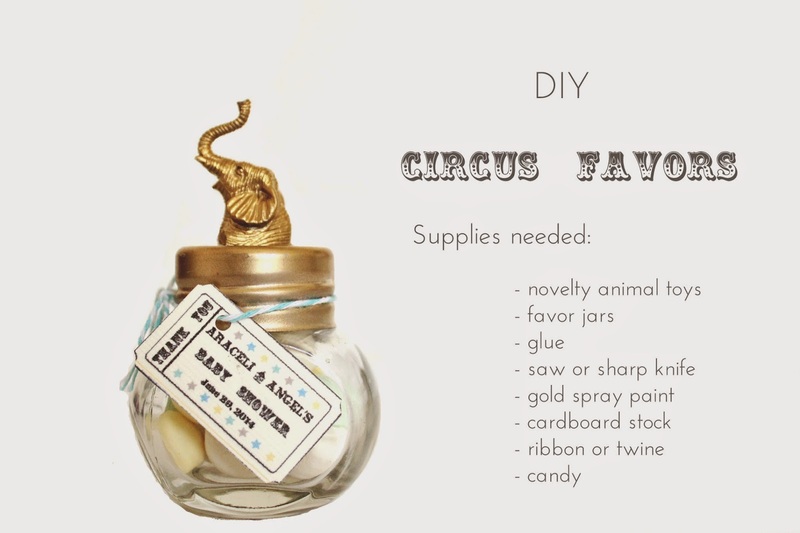 Step 4: Use E6000 glue to stick your circus animal bust to the cap of your favor jar. You can buy this type of glue at any craft or hardware store. It works wonders every time. I bought my favors jars from DTLA, but you can purchase them at any party store like this one. Step 5: Spray paint your caps. With all the metallic gold spray paints out there, it was hard to decide which shade to use. The shade I used was the Krylon Brillant Gold. This blog from Chris Loves Julia had a great post on "which gold spray paint is best", I found it very helpful. Step 6: Personalizing your favors. I went with the carnival ticket look. You can trace a ticket and scan it in or you can download it from a clip art website like this one. The rest was done in photoshop. You can design your layout any way you want, if you are looking for font ideas, you can download them from online font resources such as Da Font. Step 7: Filling in your favors. Since this was a baby shower theme, I used these Pastel Pillow Mints. They matched my color story and looked great. Any party supply store should carry various small candy you can use in your favors. 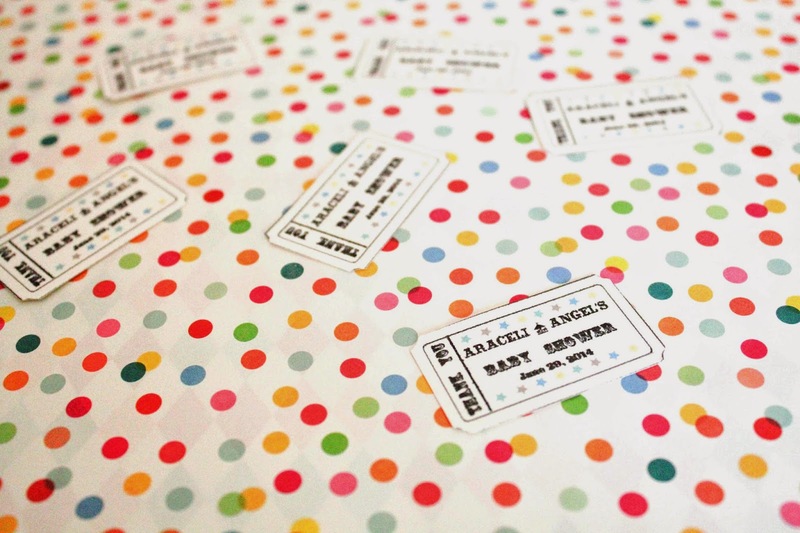 Or another great idea would be to fill up your favors with confetti. Just a thought. Also you will need ribbon or twine for the tags. You can find that at any craft store. The favors were a hit at the shower. I liked that idea of recycling them and using them for other purposes. One of my friends is using them to store spices, I love that! A few weeks ago, my sister in law hosted a second beautiful baby shower for me and my husband, (our first one was hosted a week before by my mom). Although she did all of the planning and work, I helped out with the decorations and theme. 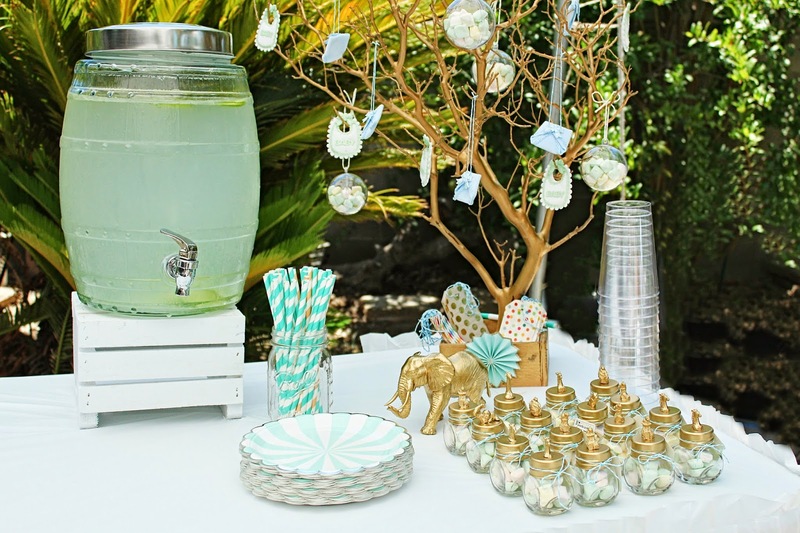 I have always had a fascination with carnivals, elephants, and striped tents, it was only natural for me to have a circus themed baby shower. I tried to stay away from the traditional red that is used often used in these themed parties. Instead I took elements from the circus and added some whimsical details. Most of our decorations were DIY projects. All the circus animals were spray painted gold. 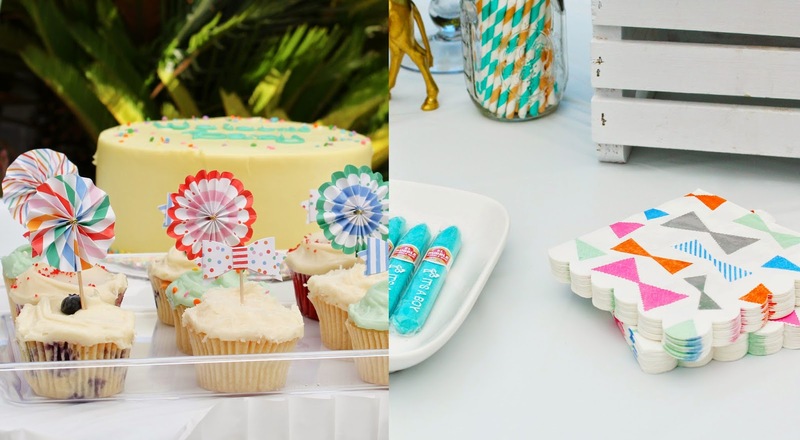 The striped paper straws were a must. I tried to stick to a mint and gold palette, although I did incorporate some light blues and yellows. 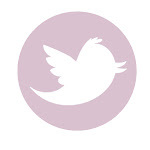 I spent a few days on Pinterest gathering ideas for favors, table decor and layout. My sister in law made all the tissue paper tassels. Check out this link for instructions on how to make your own. All paper goods were purchased from Meri Meri. I love their brand. These bow tie napkins were everything. For this baby shower we decided to go for more of a old fashioned style lemon cake from Susie Cakes. It was a very simple design, but so good. We also picked up a few cupcakes in assorted flavors and decorated them with these toppers. Every detail counts. Can't go wrong with confetti filled balloons. I tried many lever punchers, but this one was the best one. I used the 3/4" size. It was so much fun making these favors. They were a hit at the shower. I will post how to make these and where to get all the supplies in the next post. Stay tuned. 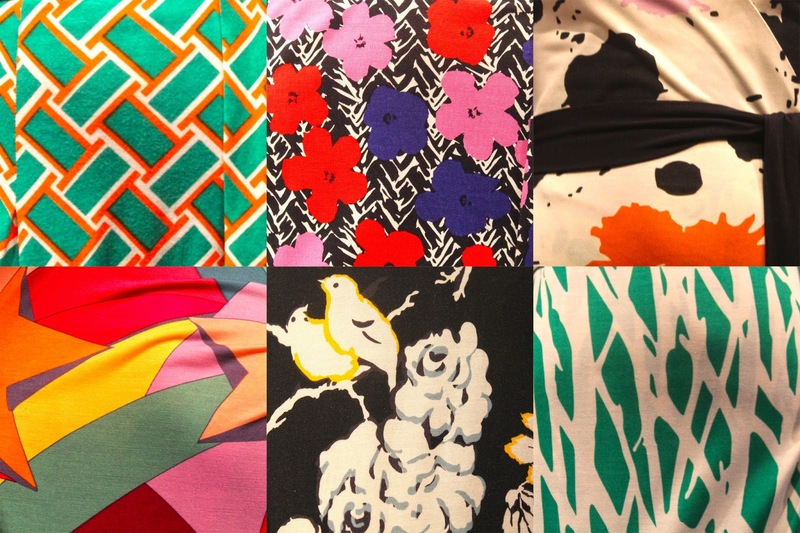 Incase you missed Diane Von Furstenberg's "Journey of a Dress" last month, here are some highlights. The exhibition was small and intimate, but with a grand entrance. I loved the pink walls, which were covered with 40 years of design history in the form of editorials, magazine covers and runway images. It was a perfect exhibition for Los Angeles, we need more fashion in this city. 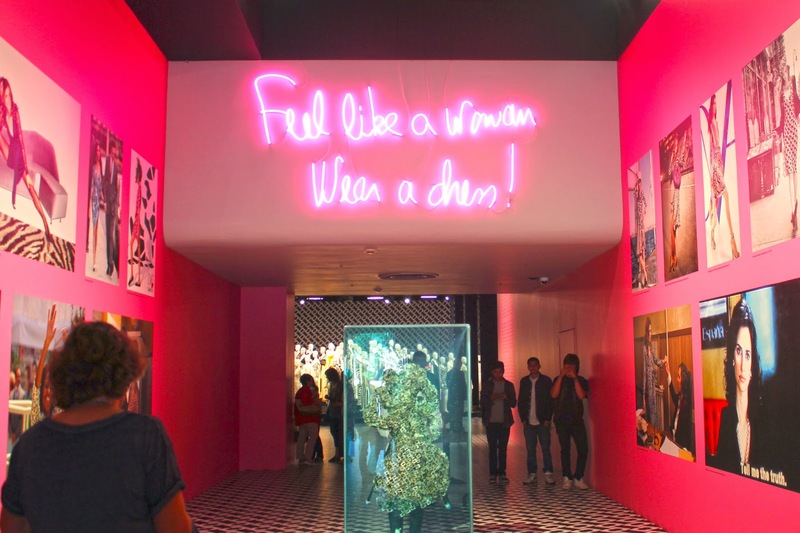 I can't recall the last time we had a an exciting fashion exhibition like this one. As I walked in to the main room, I was greeted with a sea of white maniquins who were wearing her famous jersey wrap dress in every bright printed pattern you could possibly imagine. Here are some of my favorite prints. The Andy Warhol flower print definitely takes the cake. 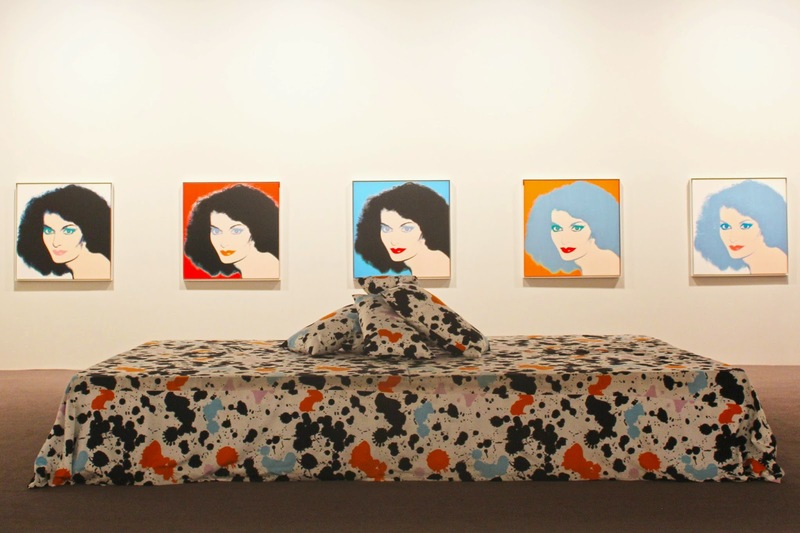 Along with the tribute to her famous wrap dress the exhibition also dedicated a room with iconic photographs and paintings of her. 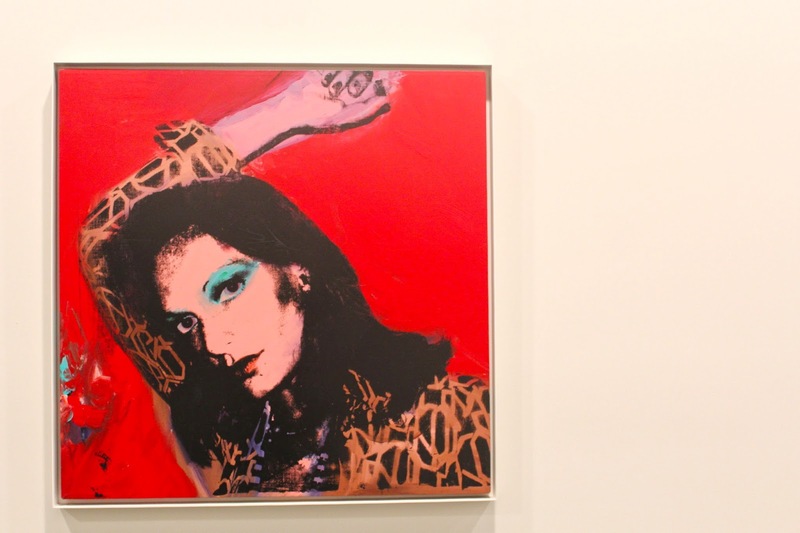 Including those famous Andy Warhol paintings, of course. I'm so glad I was able to make it to the exhibition. I almost missed by going on the last day. 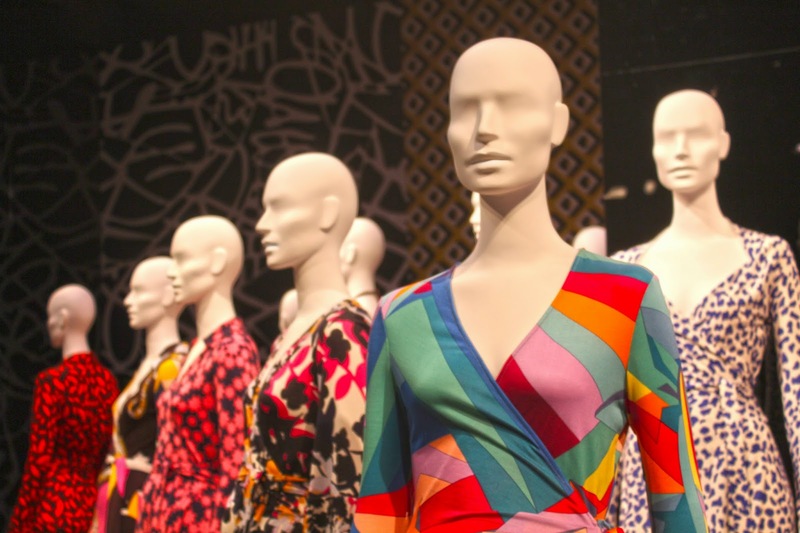 It was very inspiring to see how Diane Von Furstenberg created an empire with one simple, but classic dress that will live on in fashion history. Check out some amazing behind the scenes moments here. 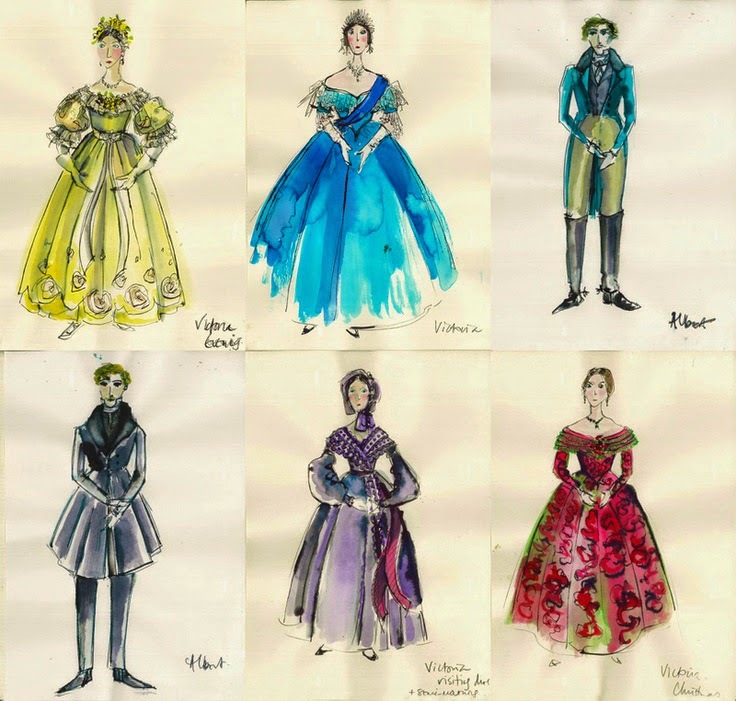 Do you guys remember the beautiful costumes on the film The Young Victoria? They were designed by Sandy Powell, a three time Academy Award winning Costume Designer. This Sunday she will be speaking about her design process at The Getty Museum. This event is part of the current running exhibition A Royal Passion: Queen Victoria and Photography. I can't wait to hear her discuss her use of research and visual sources for the film. If you are excited about historical costumes as much as I am and are free this Sunday, you can RSVP for this event here. 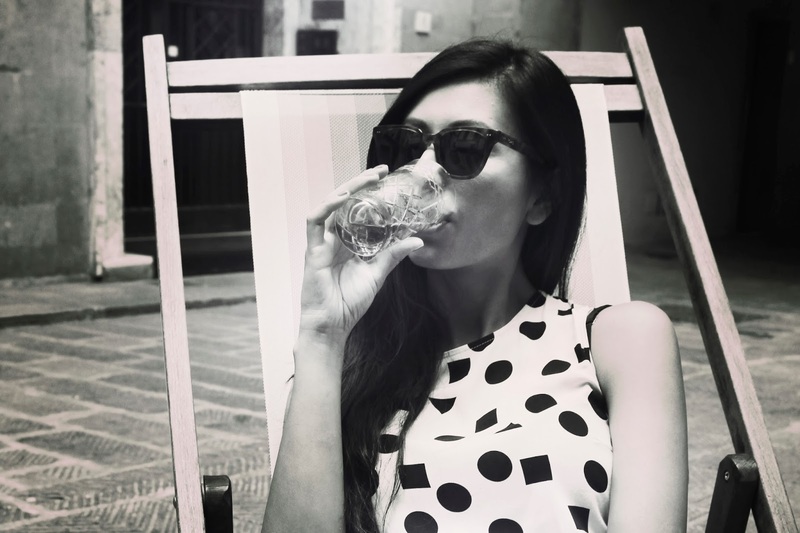 Finally, another blog post about my trip to Italy. 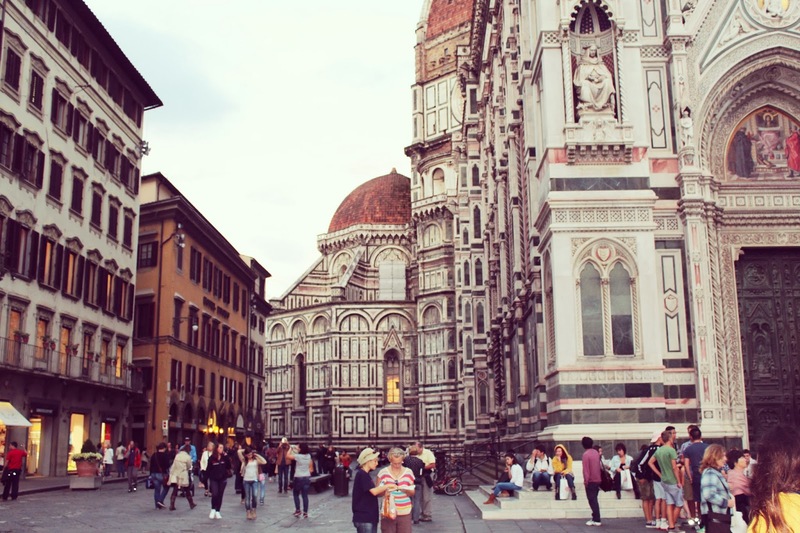 After leaving Rome, we took the train, headed north and booked a few days in Florence. It was just as gorgeous as I imagined it to be. The food and wine was great, but most importantly I was finally able to shop for the first time in Italy. Florence, just like many other high touristy cities had the usual retail chain stores we are all familiar with, but luckily on our second day there, we met someone that gave us shopping and restaurant guide called "Unusual Florence". I was so excited because, I had been looking for speciality design stores. Me and Angel tried to stop by every place that was listed and here is what we found. 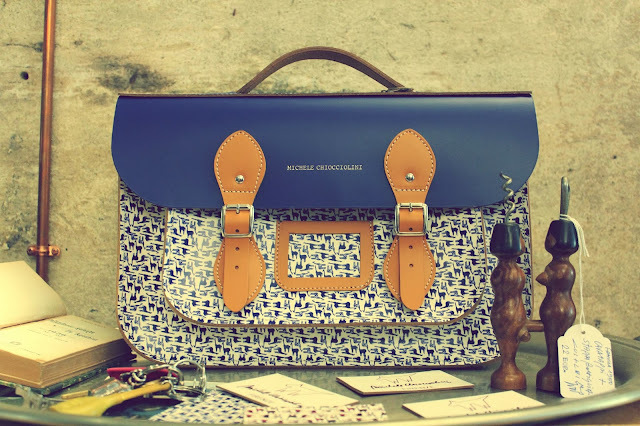 One of our first stops was at Michele Chiocciolini's studio/boutique. I can't even begin to describe how talented he is. He is a notable Fashion Designer in Florence and also a painter amongst other things. Apart from his own collection of ready to wear line and his leather goods collection, he also carries vintage items, every thing from books to jewelry. I was so excited to have found him. His attention to detail is inspiring. I love his style, my husband bought me a beautiful dress from his last collection. I can't wait to wear it. I am saving it for a special occasion. Boutique Nadine was also a great shop. I loved their selection of vintage clothing and shoes. They also carried beautiful necklaces that were made with recycled Chanel buttons. Can't go wrong with that. After shopping at Boutique Nadine we had lunch at Brac. 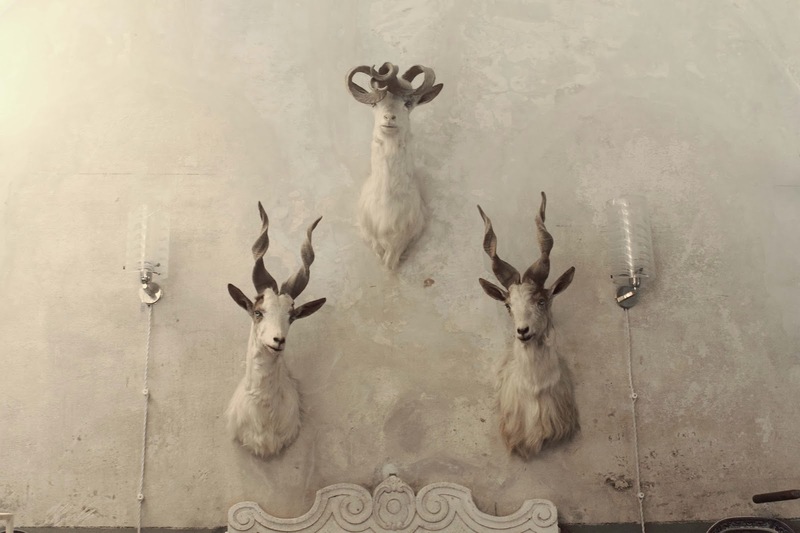 This restaurant was very special and right up my alley. Imagine having the best lunch and drinks in a library. Well, Brac was definitely that place. The walls were covered with art books in English and in Italian. Some of their books were for sale while others remained in their permanent collection. I bought myself a great book titled 10 x 10 by an artist named Emiliano Ponzi. Oh my! Any one that knows me knows that I am paper hoarder. Well, lucky for me, I stumbled upon a charming store called Signum. 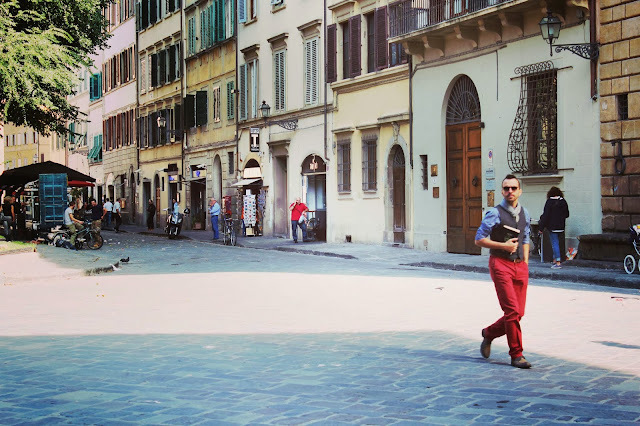 Although they were not listed in the Unusual Florence guide, I wanted to include them in this post because it's worth stopping by if you are ever visiting the city. 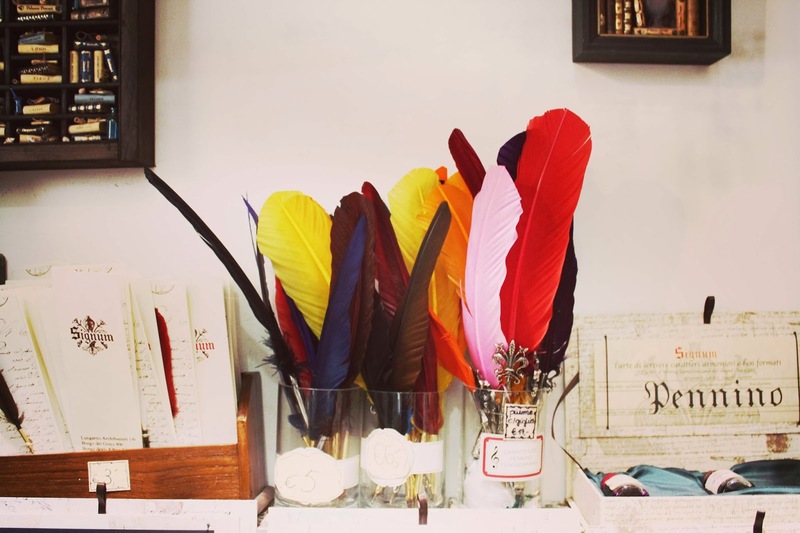 At Signum you can find everything from Commedia dell' Arte marionettes, theater boxes, hand binded journals to the most beautiful paper stationary sets you've ever seen. Looking for these hidden gems in Florence was one of the highlights of my trip. It was like a treasure hunt. We took our time, got lost for a while and made frequent stops at bars, geletarias, coffee shops. 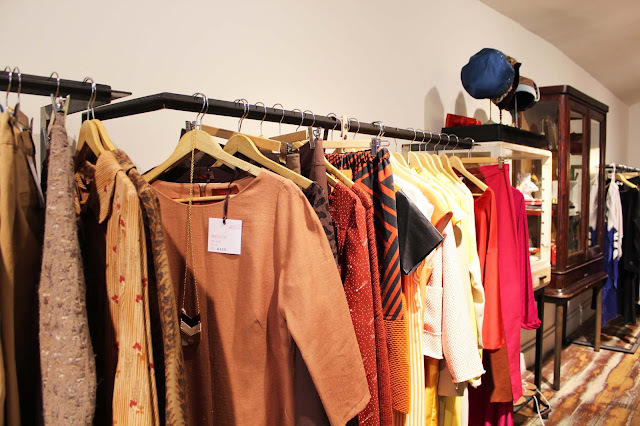 Some other vintage shops that you must check out are And Company and Ceri Vintage. I was in awe with the way they curated their store. Here you will find very selective pieces of furniture and clothes that you will definitely not find anywhere else in this city. Another restaurant/ gallery/ vintage shop/ bar that we stopped by was Amble. It was everything I love in one place. We had some the best Negronis and sandwiches there, before heading out to Magaza to buy more books. Towards the end of our trip in, I had a Sartorialist type of day. It was impossible not to take pictures of all the stylish locals, how could I resist? As always, I was so sad when we had to leave. I can't wait to go back soon. I was happy to have found the Unusual Florence guide. You can look at the complete map here. 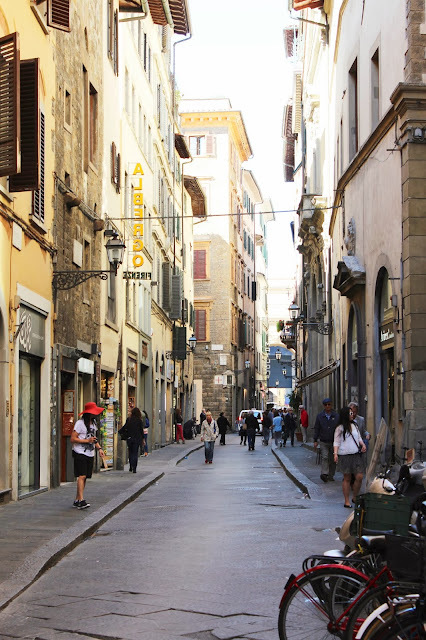 If you want to stray away from all the tourists at some point on your next trip to this city, I would highly recommend stopping by some of these stores. They are all unique in their special way and it's a great way to meet all the artsy locals that will show you another side of Florence you would not expect. Barnum and Bailey Showgirl in a bunny costume. I love the pink giant bow. Birthday girl. Circus show performer receives flowers. Show Performer Lottie Burnn juggling. Halloween is two days away and here I am trying to come up with a last minute costume. It seems like every year I have aspirations to dress in a vintage circus themed costume. I always find myself looking through Taschen's The Circus: 1870's - 1950's book over and over again. It is an incredibly beautiful book. Each page translates history with nostalgic images and art work, and makes me feel like I am there watching The Greatest Show on Earth. Check out this beautiful three and half minute documentary on The Circus produced by Taschen, click here. Vintage Circus Flair. 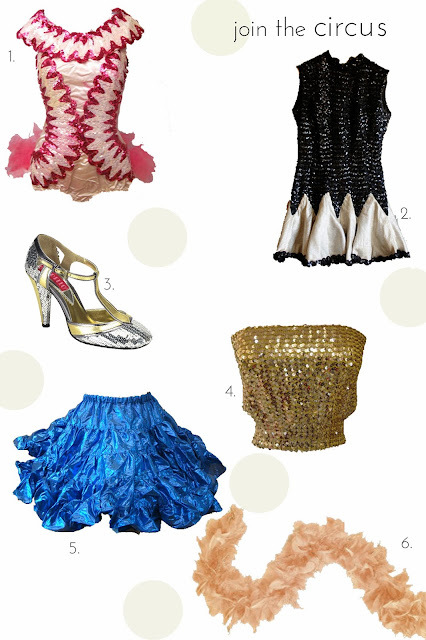 Shop these pieces here.